Markus Andersen is a documentary, street, and conceptual photographer who shoots on 35mm, 120, and Polaroid films, along with his iPhone, throughout Sydney, Australia – which he calls the “belly of the beast.” Rob Norton crafted a compelling short film that allows the viewer inside Markus’ thoughts about street photography as an art. 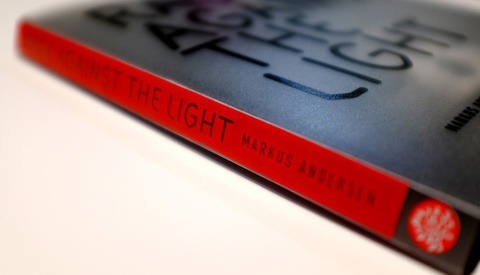 Through Markus’ narration, behind the scenes glimpses, and many stunning examples of Andersen’s photographs, Norton added the perfect music and edited together a clever and engaging sequence that showcases the creativity and passion of a genre of photography that often gets sullied by today’s accessibility to modern technology. Pushing a button on a camera-phone and then sharing it instantly to several social medias takes seconds now-a-days. That’s not to say there isn’t any merit in how technology has opened the floodgates for new photographers, but it’s nice to see artists still passionate about taking their time and waiting for moments to come along. Although Andersen uses a Leica MP and a Hasselblad to capture the “canyons of metal and concrete,” he insists his task is to make order out of the chaos and that means his photography isn’t about the gear. “As long as it works and takes a good image, that’s enough. What matters is what turns up in front of you,” Andersen states. These ideals are what make the difference between someone who understands his craft and can utilize old and modern technologies alike, and someone who just takes images to say they are artistic. Take fifteen minutes and rejuvenate yourself by watching this short film. I did and it was more than worth it. At the least, you’ll see some really pretty photography and filmmaking, but I hope you find some inspiration along with it. Maybe you’ll be motivated to explore the belly of the beast in your own city and wait for those moments to make order out of the chaos yourself. Follow Markus on Facebook, Twitter, Instagram, and view more of his work at his website. Follow Rob on Twitter and view more of his work on Vimeo. Aaron Brown is an Fstoppers Editor and a Northwest Indiana wedding & portrait photographer. In his off time, he enjoys grooming his beard, consuming assorted meats and craft beers, and battling friends and foes alike in blitz chess. Follow him below, and feel free to drop him a line anytime. thanks for sharing this one. As I noticed it: If anyone ist interested in the Strap, it's from gordycamerastraps.com such great craftsmanship. Got several of those. You can pick the leather and the cord color etc. (they ship from us to germany so you can order worldwide I think). Why was it when I saw "Street Photography" in the title that I knew he was using a Leica? Oh, it's just a lucky guess. I have a simple solution to that dilemma. Carry two Leicas, one loaded with B&W and the other with color. I shoot with two film SLRs, Canon A-1 and F-1N; one is loaded with B&W, the other with color. I don't know how Leicas will perform at an air show that features high precision teams flying jets; but I started a new roll of film for the Air Force Thunderbirds and I had to reload during their performance. Six rolls of 36 exposure film was my budget for the day and I had a few frames left from the last roll. I saw a slow film reloading method at 09:42. What I do is with the film in my left hand, feed the film onto the takeup sprocket and once it catches, drop the film into the feed side, tighten up, close the back and get it ready. PS: Apparently loading rangefinders and SLRs are vastly different. With SLRs, just pop open the back and put the film in. With rangefinders, there's apparently more steps and more complicated than loading an SLR. I've thought about buying a used Canon rangefinder from the 1950's and the instruction manuals on butkus.org show an unusual sequence for loading film. Aaron thanks for posting, this was a great mini doc and a fascinating subject who produces great street work. Right up my alley, thanks man! Wonderful documentary and great images! I wonder if the street people of NYC would be as tolerant as the Aussie's. The two elderly ladies by the tree would probably start beating on me with an umbrella! Does anybody recognize the app he is using on his iPhone?